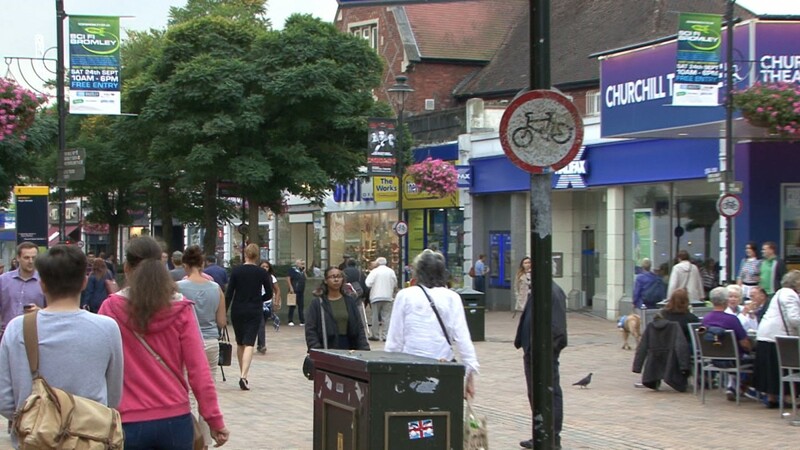 The Greater London suburb of Bromley, London’s largest borough, is located approximately 17.5 km (11 miles) south east of Central London and 11 km (7 miles) north east of Croydon. Bromley benefits from first class communications being located off the A21 which provides direct access to Junction 4 of the M25 Motorway approximately 11 km (7 miles) to the south east. 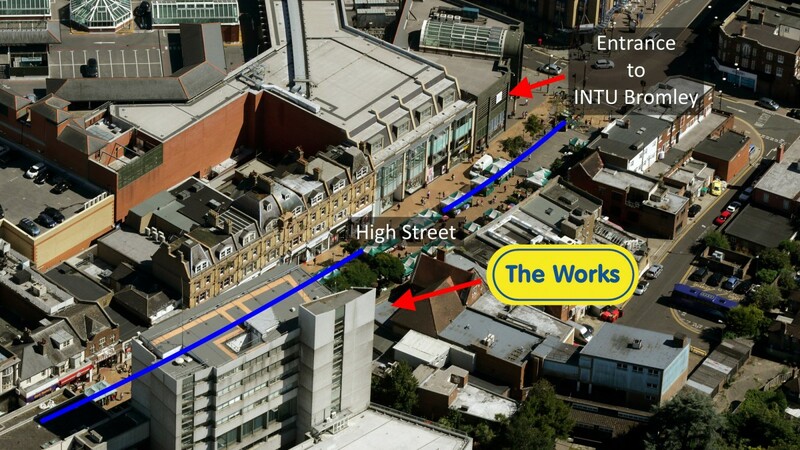 The town benefits from two railway stations; Bromley South and Bromley North, which provide direct services to and from Blackfriars, Charing Cross, London Cannon Street, London St Pancras and London Victoria with varying journey times between 17 minutes and 1 hour. 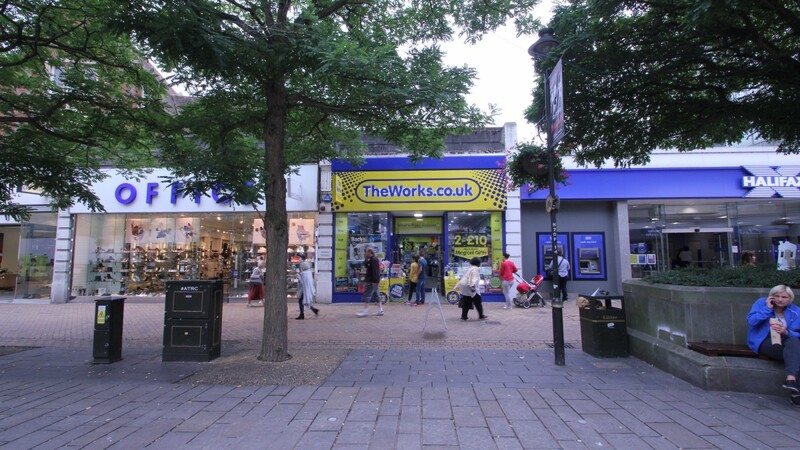 London Gatwick is location approximately 40 km (25 miles) to the south west. 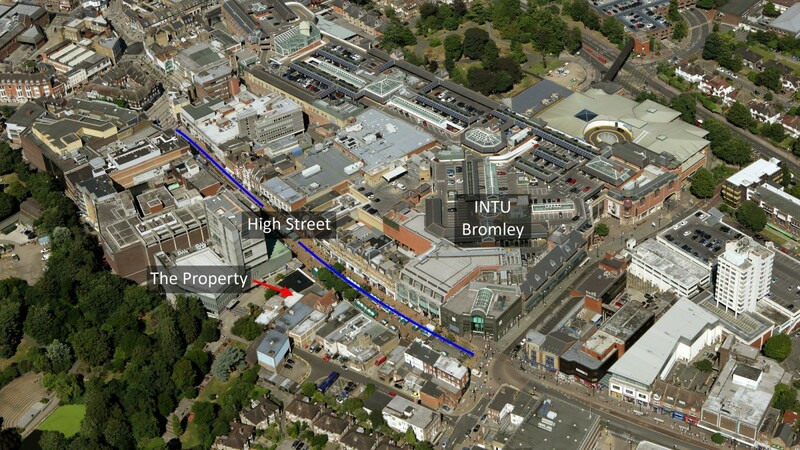 The subject property occupies a prime trading location on the western side of High Street in the busiest pedestrianised section between then entrance to Intu Bromley and Marks & Spencer. 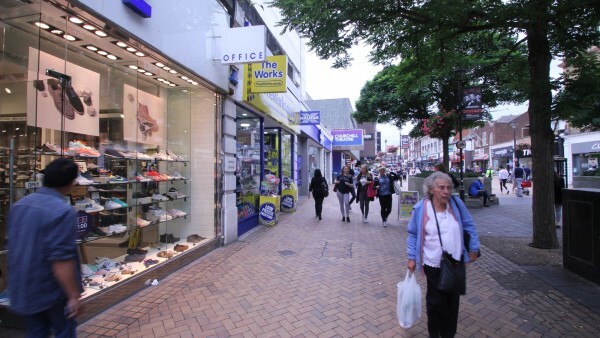 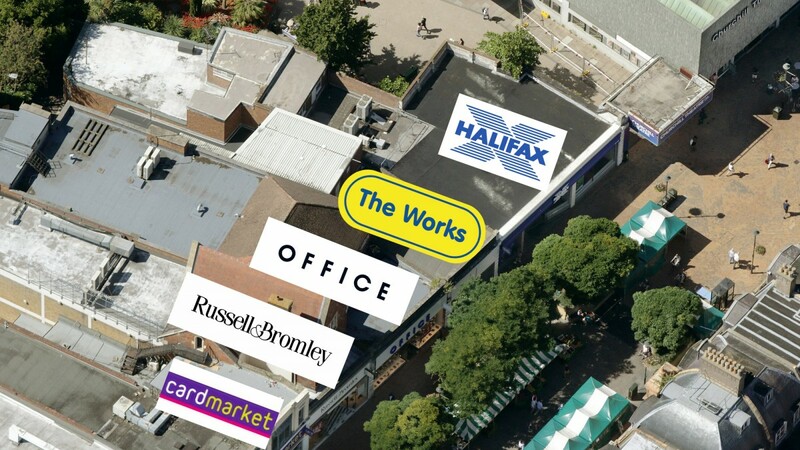 The property immediately adjoins Office and Halifax and is surrounded by branches of Russell & Bromley, HMV, Pret a Manger, H&M, Gap, Clarks, Next, Paperchase, Burger King, Topshop / Topman, Fat Face, Caffe Nero and Boots. Intu Bromley is the principal shopping centre for Bromley and the surrounding conurbations and comprises some 42,735 sq m (460,000 sq ft) of retail, catering and leisure space providing 132 units. Key retailers include Apple, Joules, Kuoni, Massimo Dutti, Skechers, Superdry and Zara. 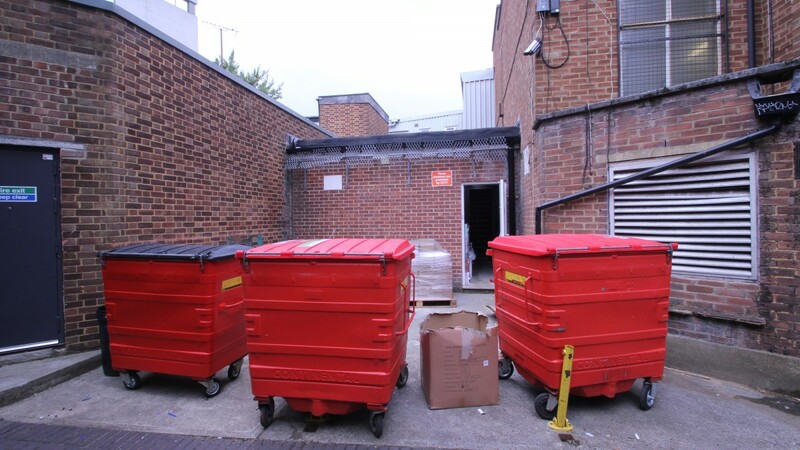 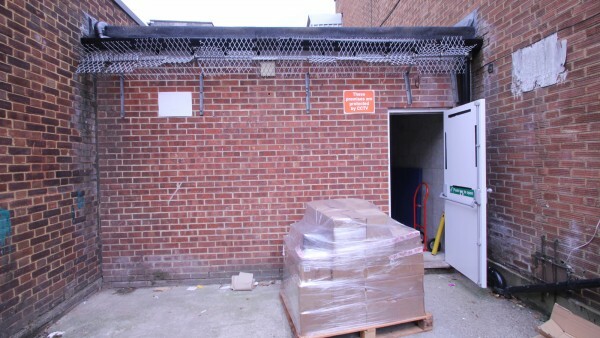 In 2015 the scheme underwent extensive refurbishment and the construction of a new restaurant expansion which has attracted operators including Byron, Carluccio’s, Giraffe, Wagamama and YO! Sushi. For further information please visit www.intu.co.uk/bromley. 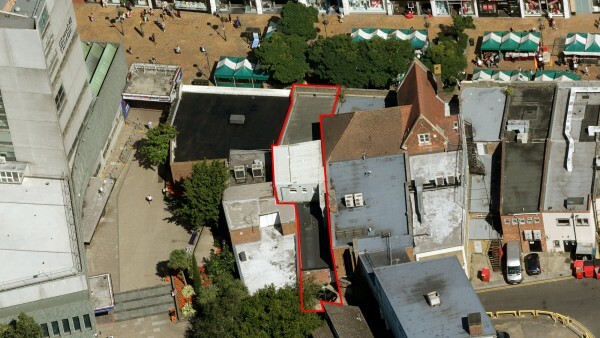 Bromley Council are promoting a town centre development proposal in accordance with their “Bromley Town centre Area Action Plan”. 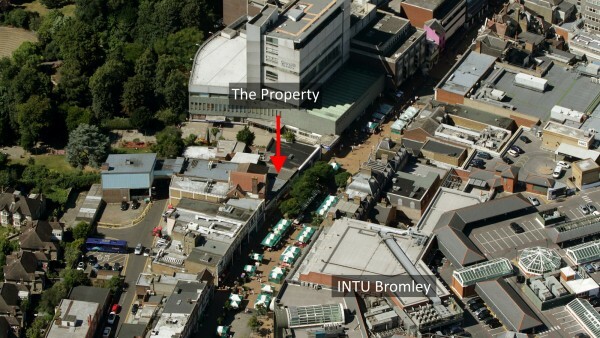 The suggested site encompasses the south west of Bromley High Street, proposed to be a “high quality, residential-led mixed-use development”. 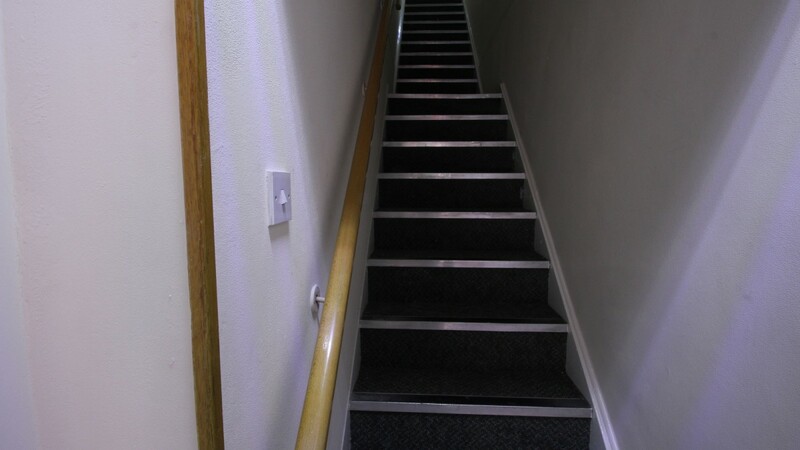 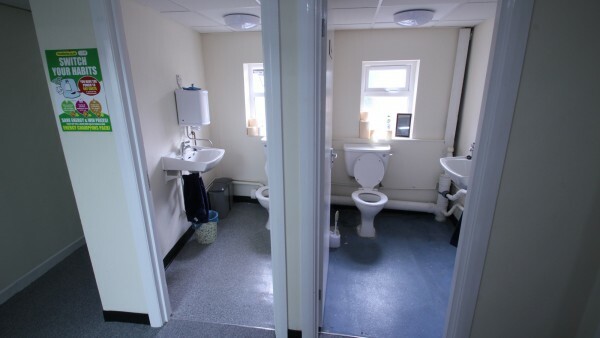 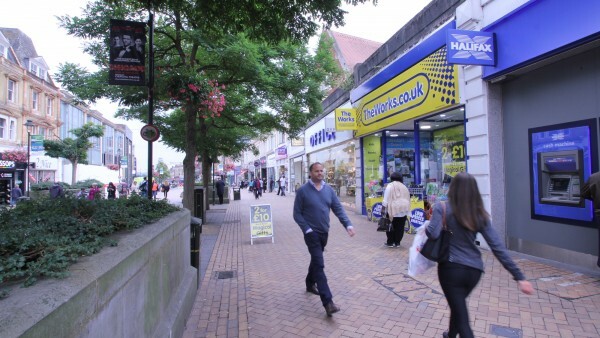 The property is comprised of a large ground floor sales area with ancillary accommodation at first floor. 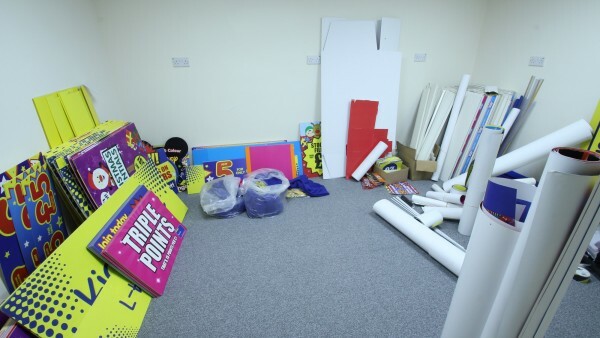 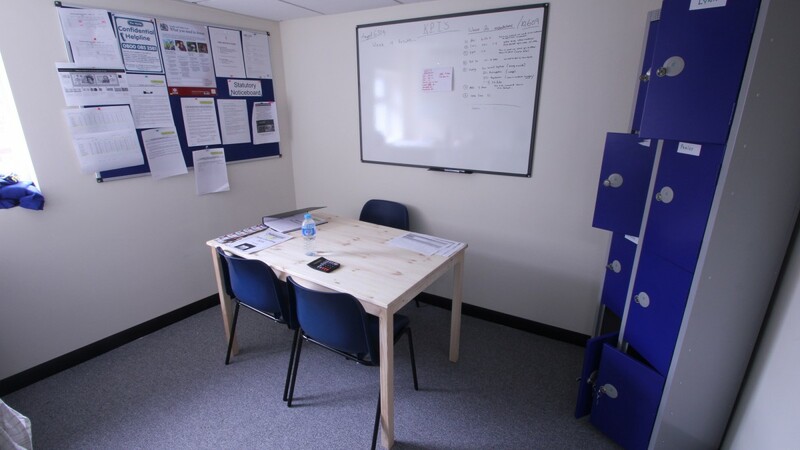 Internally, the property has been fitted out to a high standard in the tenant’s latest corporate image. 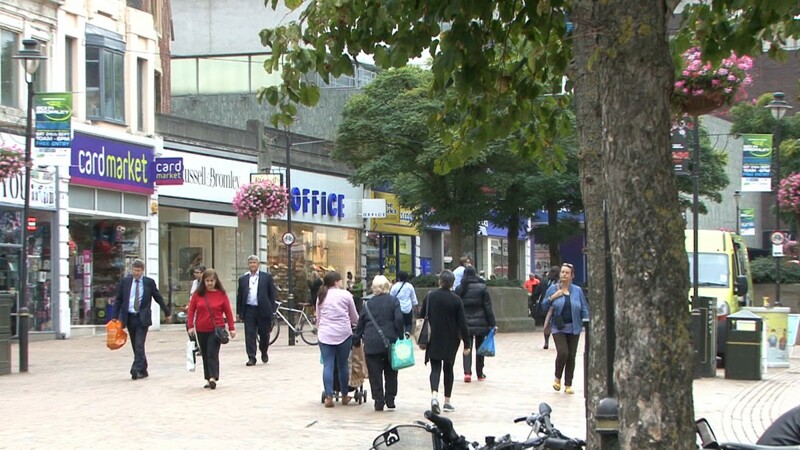 Based on our analysis of the passing rent the Zone A is £115 applying £5 per sq ft to the first floor ancillary accommodation. 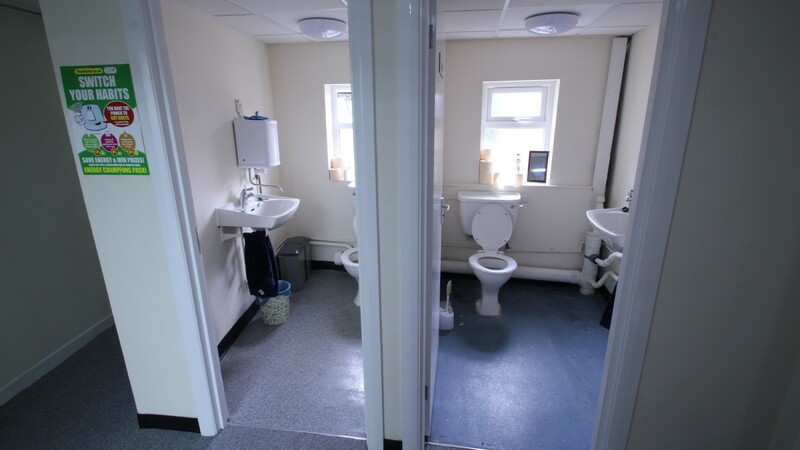 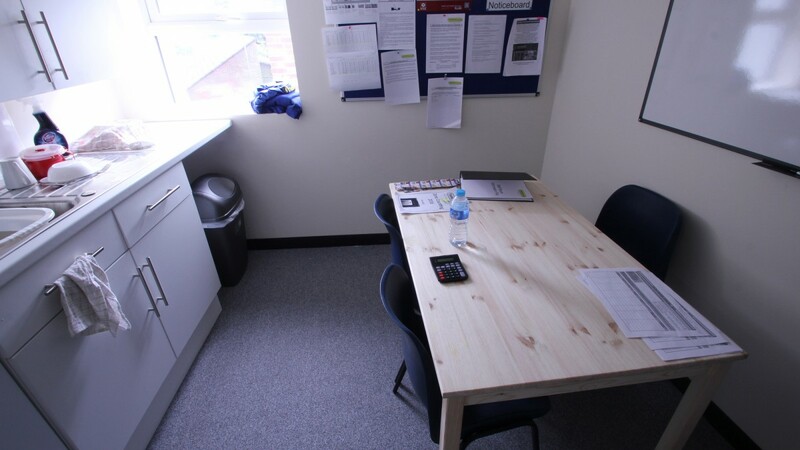 As part of the letting the tenant has received a capital incentive of £20,000 and a rent free period of 12 months. 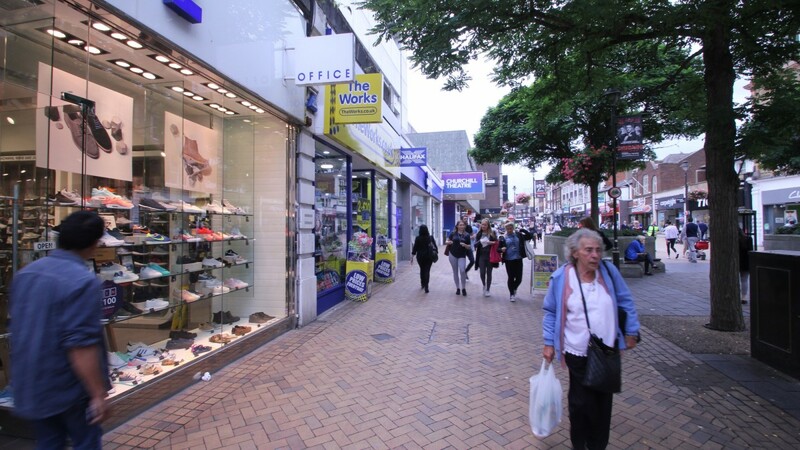 In order that a purchaser does not suffer an income shortfall the vendor will top up the rent on completion by way of adjustment to the purchase price. The tenant is permitted to pay rent monthly pursuant to a personal side letter. 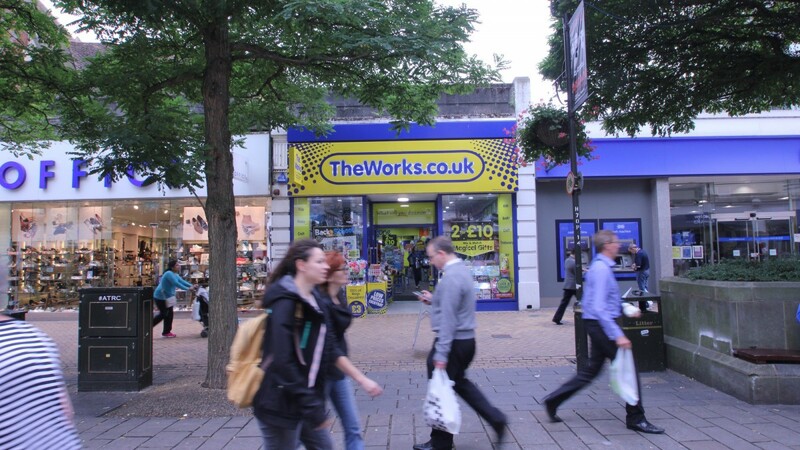 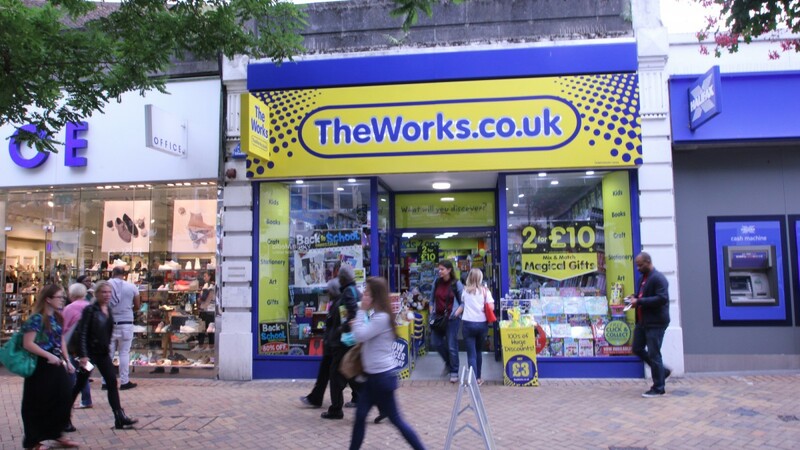 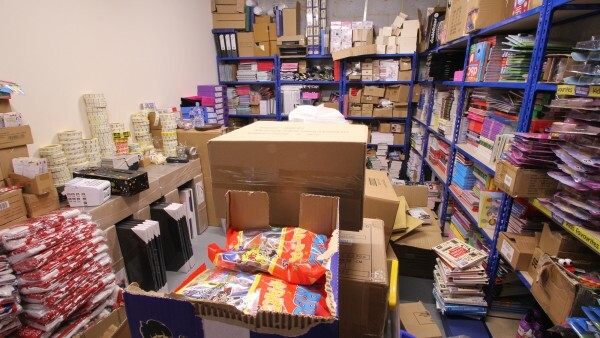 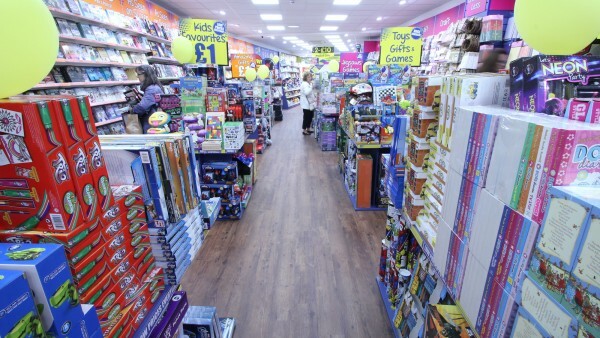 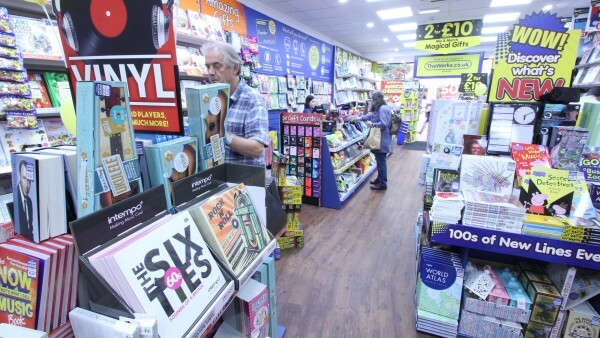 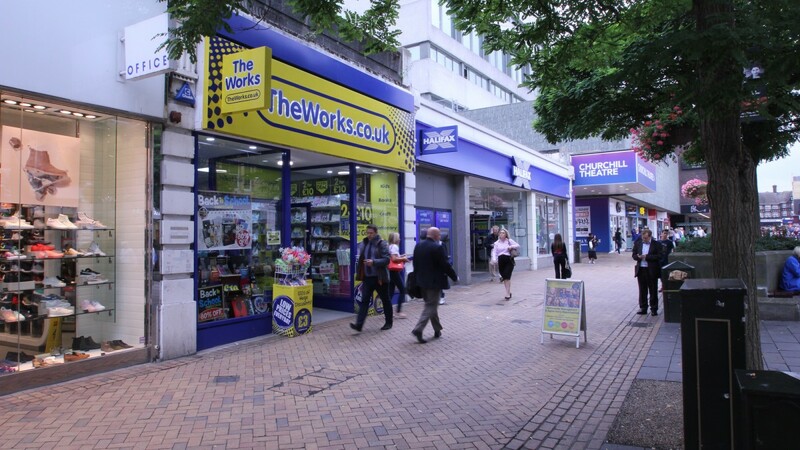 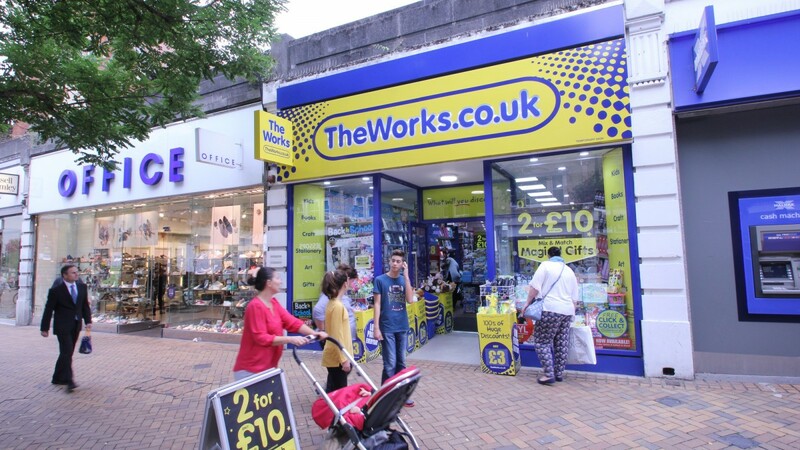 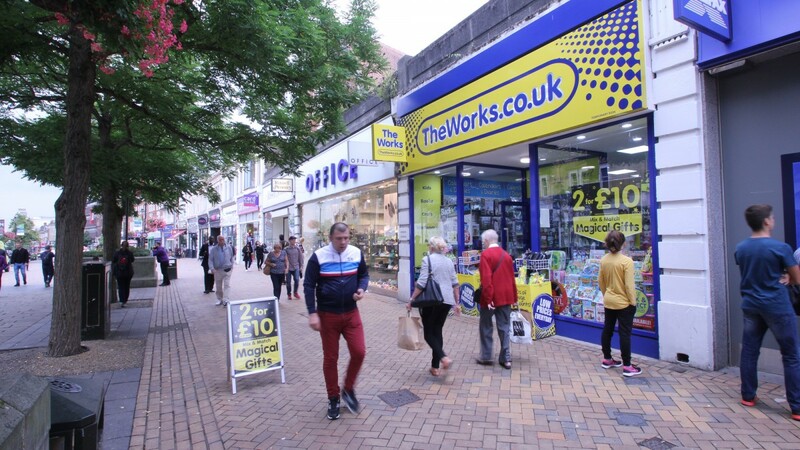 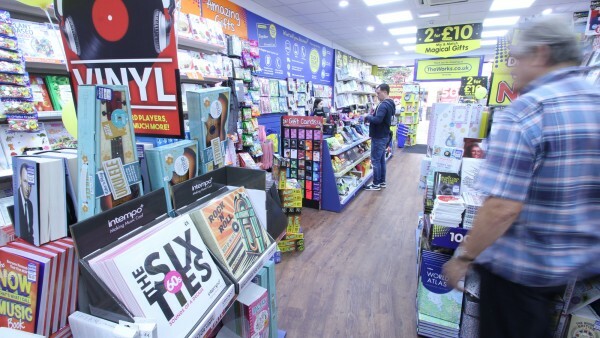 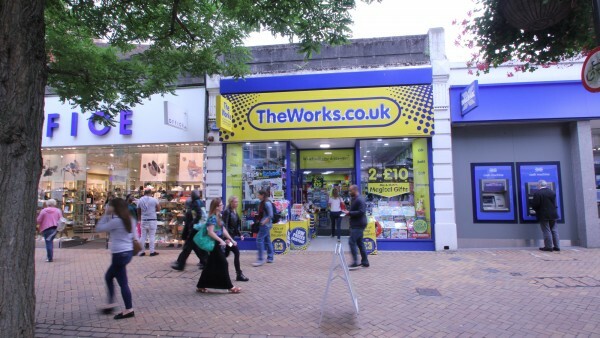 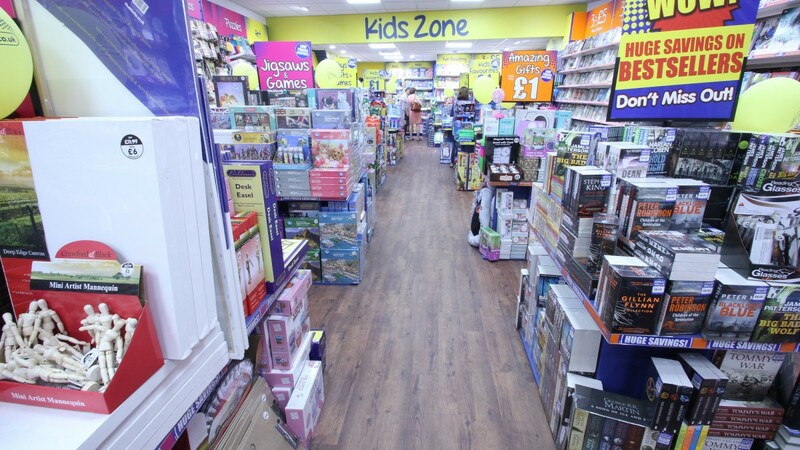 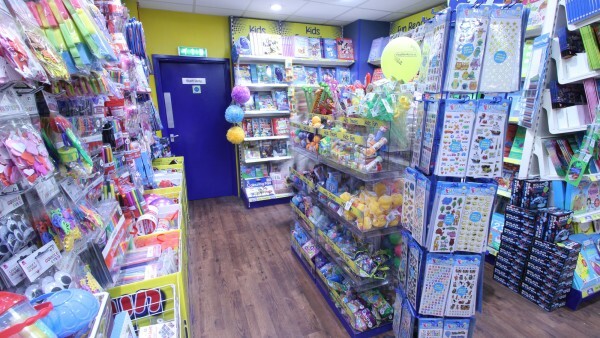 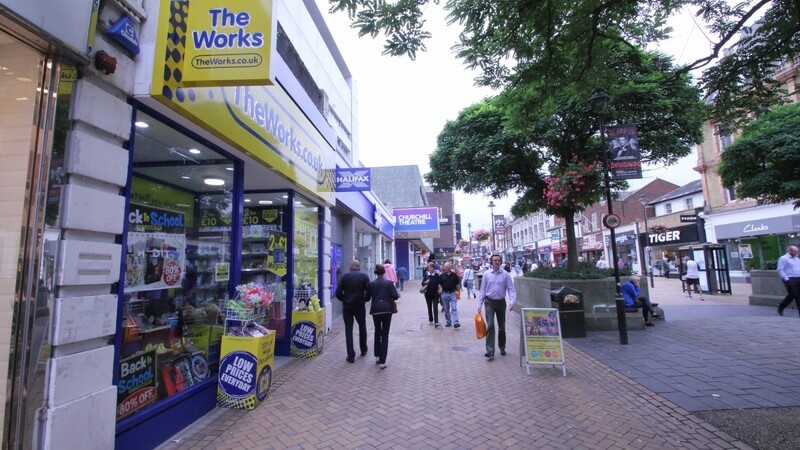 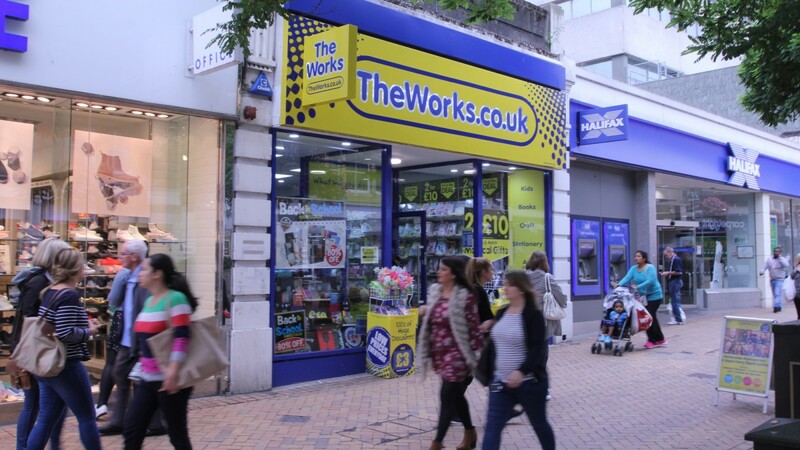 Originally established in 1981 as a discount bookstore today The Works is the United Kingdom and Ireland’s leading value retailer of art materials, books, craft materials, gifts, hobbies, stationery and toys. With more than 350 stores and expanding the company also has a website from which customers can purchase products. For more information visit www.theworks.co.uk. 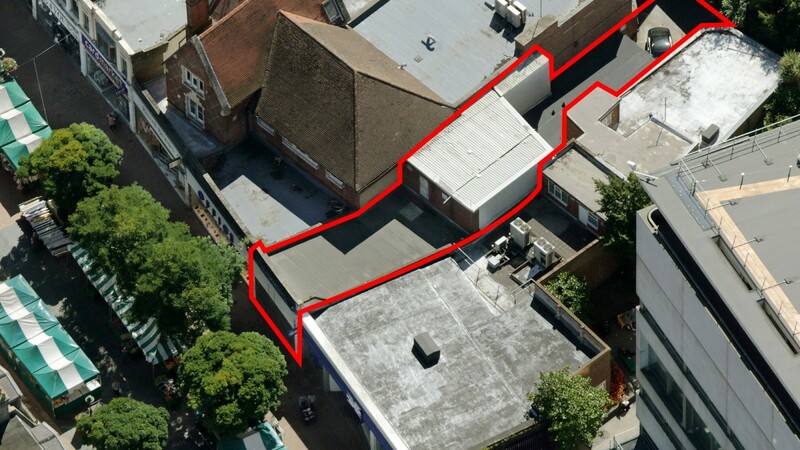 Our client is seeking offers in the region of £1,460,000 (One million, four hundred and sixty thousand pounds), subject to contract, reflecting a net initial yield of 5.5% assuming purchaser's costs of 6.08%.